I think I made a reckless move when I traveled to Cagayan de Oro while Storm Signal No. 2 was up. Little did I know that while I was able to catch some sleep that night of heavy rains, hundreds of people lost their lives and thousands others lost their homes. I was unfamiliar with Cagayan de Oro streets and barangays. Little did I know that I was just a few blocks away from catastrophe. As much as possible, I try to eliminate what-ifs from my thoughts but I can’t. I was lucky that I woke up at 5AM on December 17 dry and alive. For that, I am thankful. I remember when Ondoy hit Manila in 2009; I was watching the news while taking care of my ailing father. Papa could still carry a conversation then. I was telling him about the tragedy that Ondoy brought to Manila. I cried and all I could do was hug my father because I could not imagine what I would do should such tragedy fall on us while my father was sick. Those months when my father was bedridden were trying times in my life but as I watched what happened during Ondoy, there were still a lot of people in situations worse that what we had that time. There is so much to be thankful for. I am nursing a cold so I went to buy medicine this afternoon. I was about to complain in my thoughts that medicine is an added expense. Then, Papa’s words came into my mind, “Do not worry about expenses. Be thankful you have money to buy and you can still buy something with your money”. There is so much to be thankful for. This song keeps playing on my head today. I traveled to Cagayan de Oro (from Butuan) last Friday. 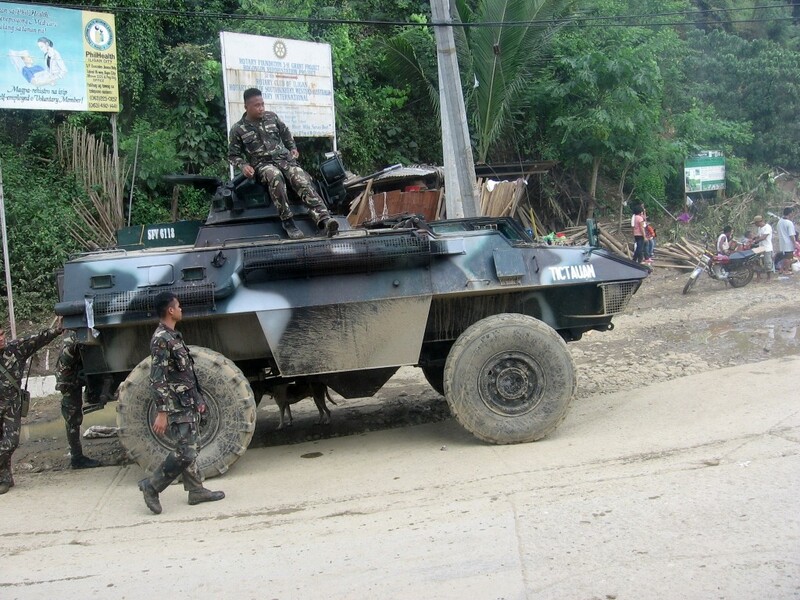 Tropical Storm Sendong is already in the Philippine area of responsibility. I checked PAGASA’s website and Storm Signal No. 2 is up in Northern Mindanao. 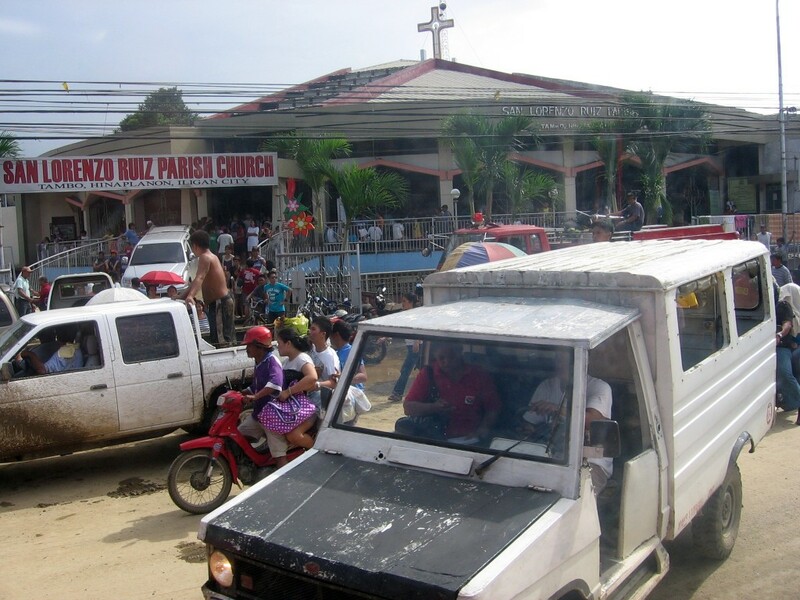 I left Butuan early in the morning of Friday, December 16. There was rain early in the morning but it was short and not “Storm Signal No. 2 material”. 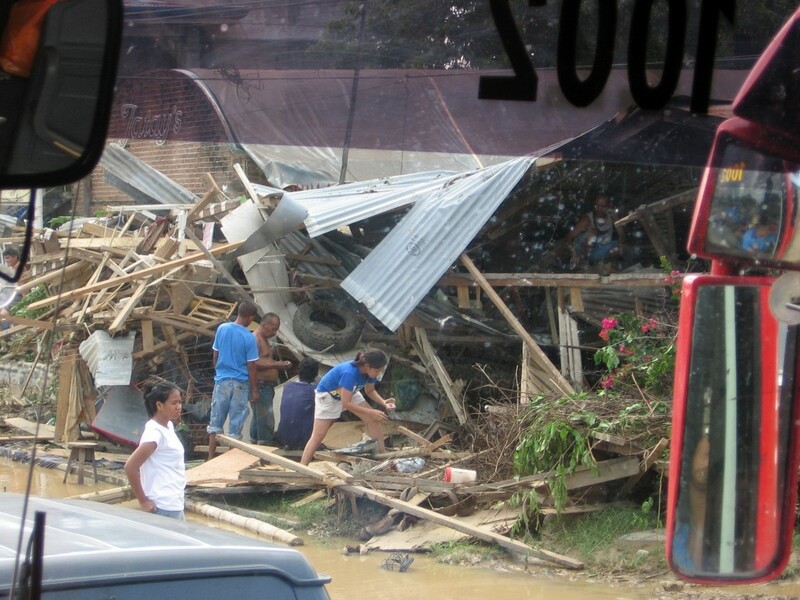 In the five-hour bus ride to Cagayan de Oro, there was no hint of the catastrophe looming ahead. It rained in some towns but it was not strong enough to scare me. It looked like just another rainy December in Mindanao. 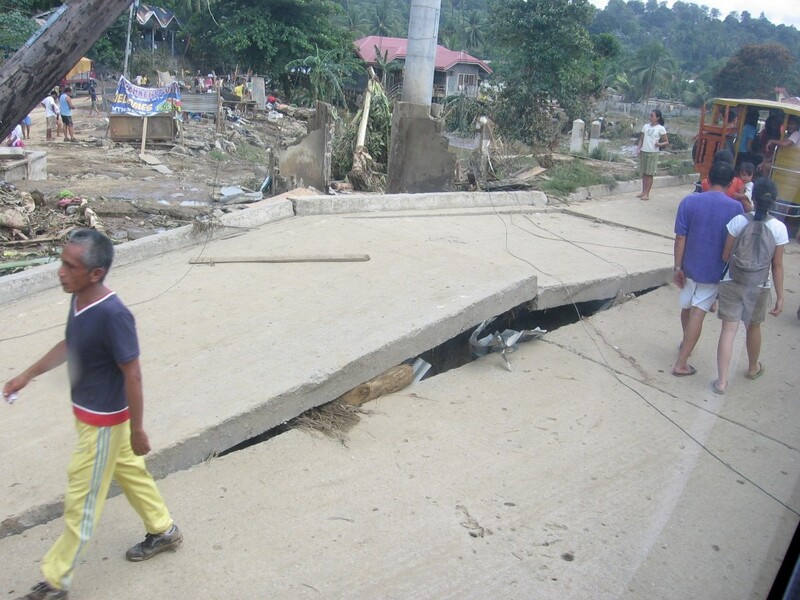 Plus, Sendong was classified as Tropical Storm which is a notch lower than a typhoon in terms of strength. 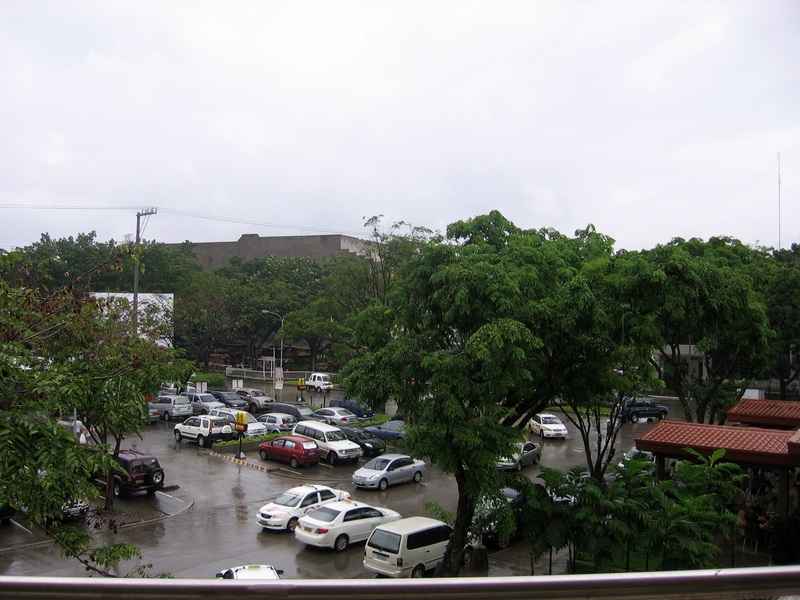 This is how the Lim Ket Kai mall parking area in Cagayan de Oro looked like in the afternoon of December 16. 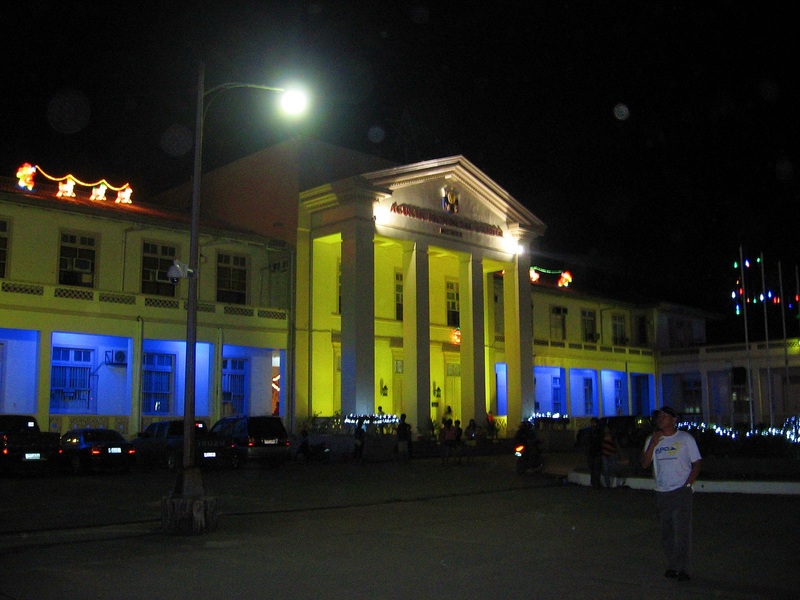 I traveled to Cagayan de Oro to take a bus to Pagadian the next day, Saturday. I promised to attend a friend’s wedding. I met with a friend from Bukidnon as my travel companion and stayed overnight at her sister’s place in Nazareth. Her sister was on a business trip and her flight home that afternoon was canceled. We still went to her house and arrived there with no electricity and water was running low. My friend’s girl scout instinct came in handy because she brought a fully-charged LED flashlight. I thought about my flashlight back home and, for a second, I pondered over my inadequate packing skills. Boy, was I lucky to have a friend who was packed ready for a battle? We freshened up with what meager water we had and off we went to sleep. Around 1 am (or was it 2am? ), I woke up because rain was really pounding hard on the roof. I was not familiar with Cagayan de Oro weather since I have not lived there so I did not understand the effects of the heavy rains. Still unaware of the situation, we left the house in the morning. We were supposed to catch an early bus to Pagadian. 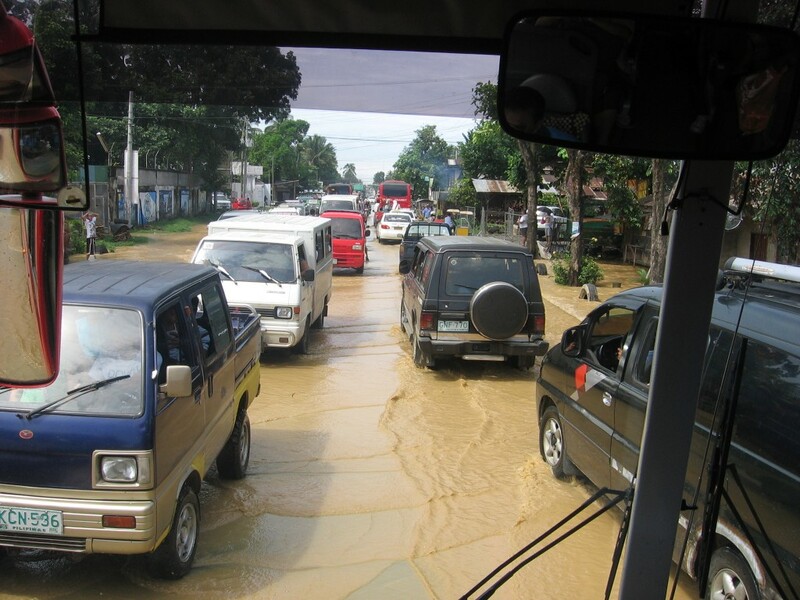 As we went near the gate of the house, there was a hint of Sendong wrath: muddy street. Another hint: fewer tricycles (motorela). We ended up riding a cab to the nearest Jollibee store where we planned to get breakfast. As we enter the door, the guard asked us if we were willing to wait for 30 minutes before we are served. Apparently, only the manager reported for work. Not one service crew came to work. We hope the crew were in a safe place. 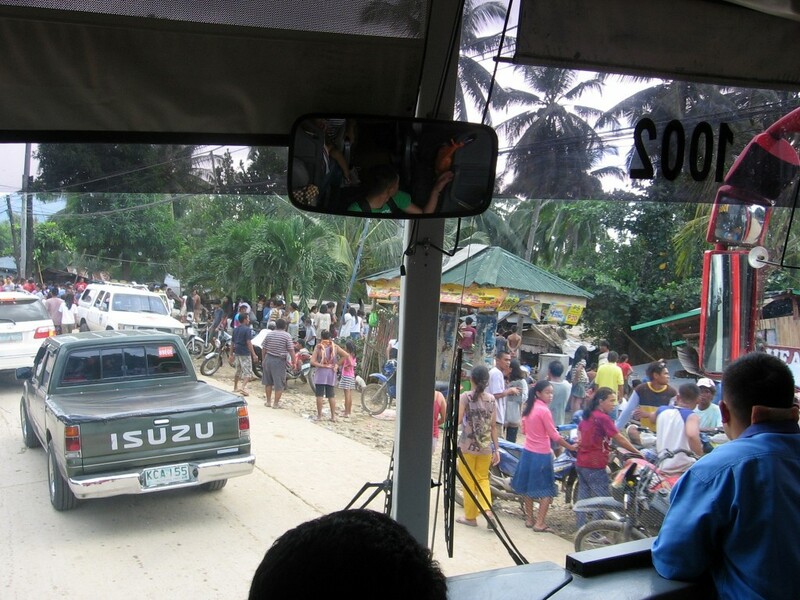 It took time to find the jeep to take us to the bus terminal. Along the way, the devastation was clear. We passed by the bridge near the city hall. It was clear that houses along the river there were ruined. I don’t want to know how many lives were lost there. We could still see the raging river below. There were people trying to salvage their things. Their faces showed distraught. Traffic was expected. The muddy waters were still there. 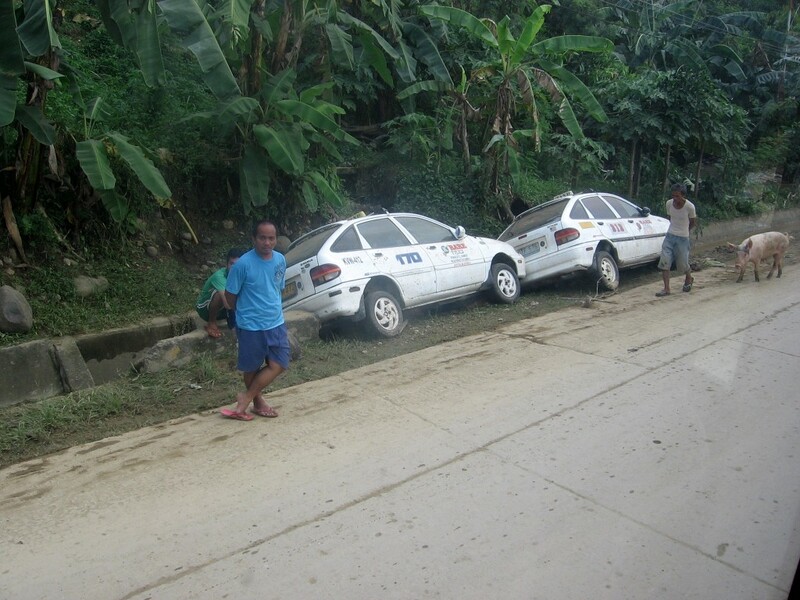 Two taxis swept to the gutters. I think there was an ongoing rescue/relief operations on this area. 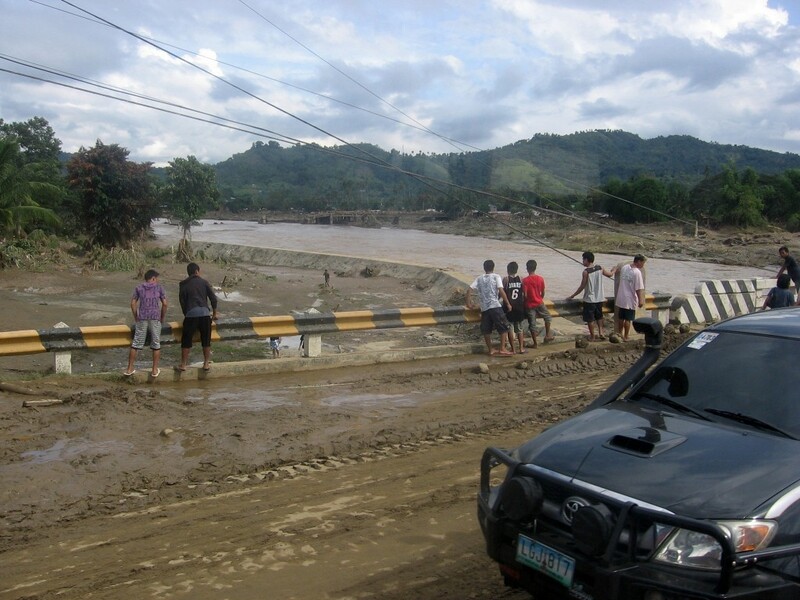 Part of the bridge going to Iligan was destroyed. 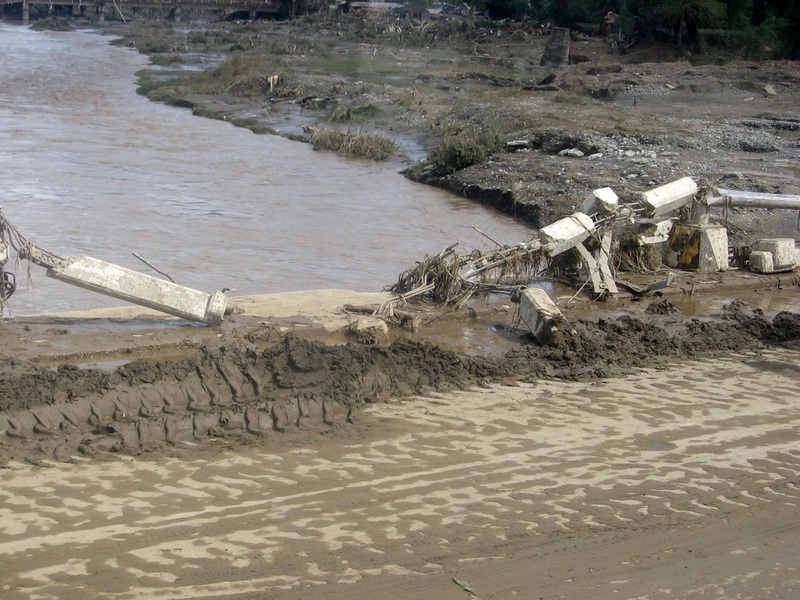 The old bridge collapsed. I asked my bus seatmate if the bridge collapsed long ago. She said it collapsed last night. Good thing there was an alternate bridge. Even the railings of the new bridge were destroyed. One cannot see the concrete pavement. It is covered with mud. Enough proof that water reached that high. We arrived Pagadian 8 hours after. The bus kept on taking in stranded passengers (which is a good thing). As passengers embarked and disembarked, we would hear several tales of a friend of friend of friend who lost loved ones in the storm. I just got home from Pagadian this morning and I have a spitting headache from all the traveling but this headache is just a small inconvenience for me compared to what the people of Cagayan de Oro and Iligan are experiencing right now so here I am creating this blog post. Wherever you are in the world, you can help. A little act of kindness goes a long, long way. Let’s give the people of Cagayan de Oro and Iligan City our love. Last weekend, we took advantage of the good weather (i.e. no rain) to view Christmas lights in the city. 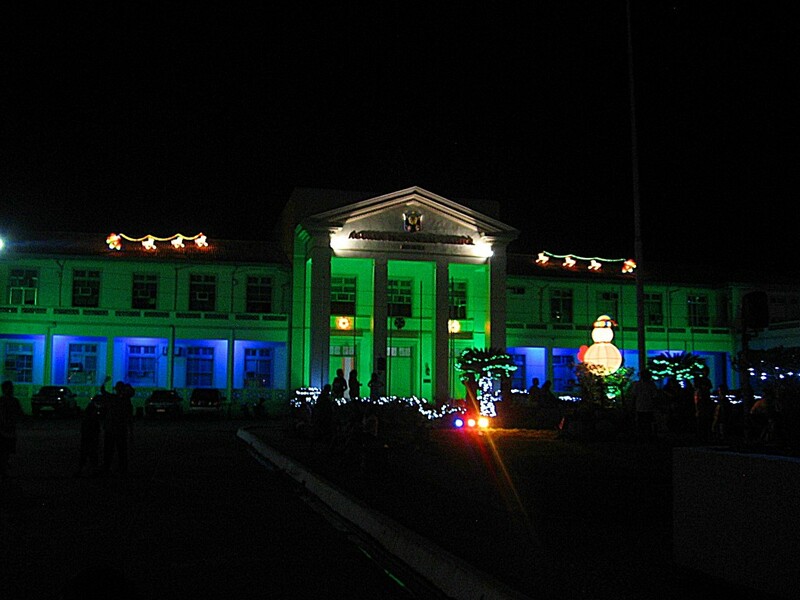 The local and provincial government buildings are adorned with sparkling, twinkling Christmas lights. 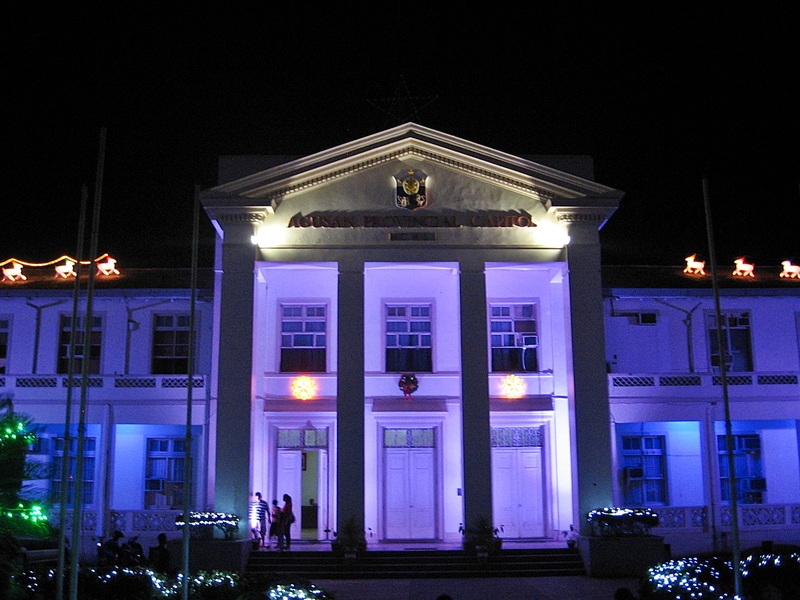 This is the Agusan Provincial Capitol. 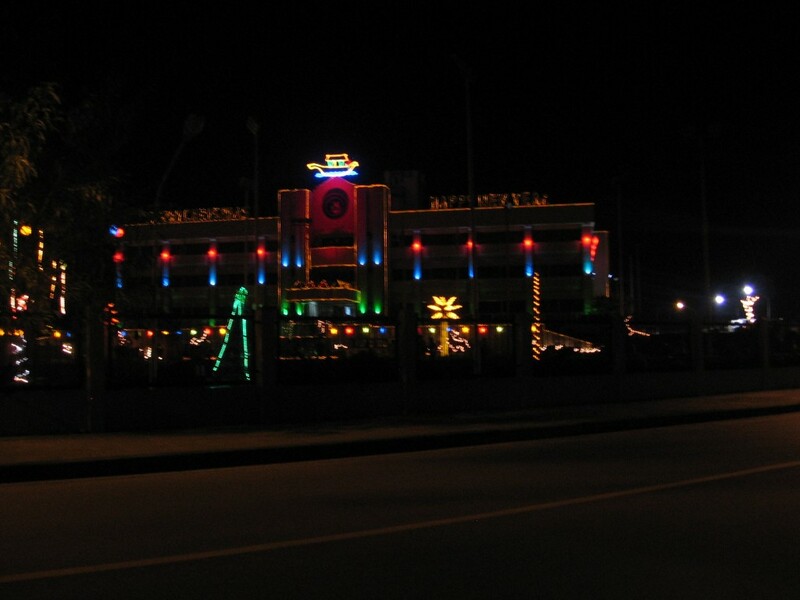 The lights change color from time to time. The trees that line the sides of the capitol grounds are also decked with lights. 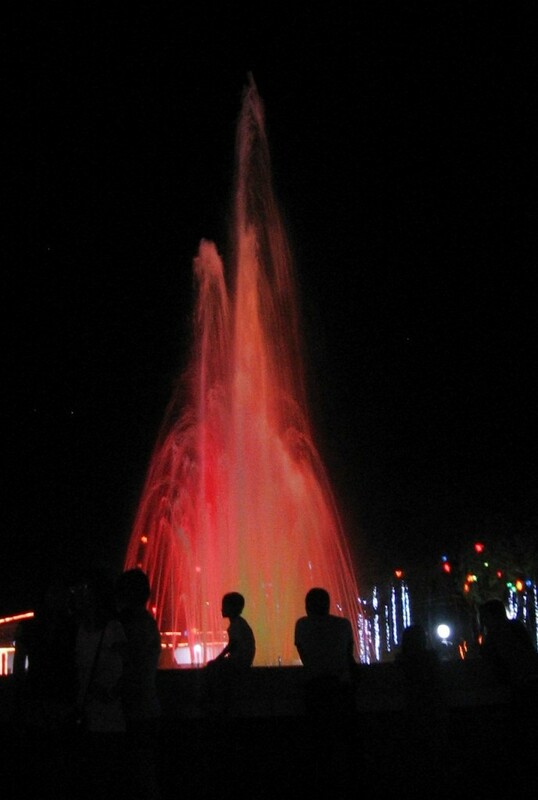 Plus, the fountain is working. 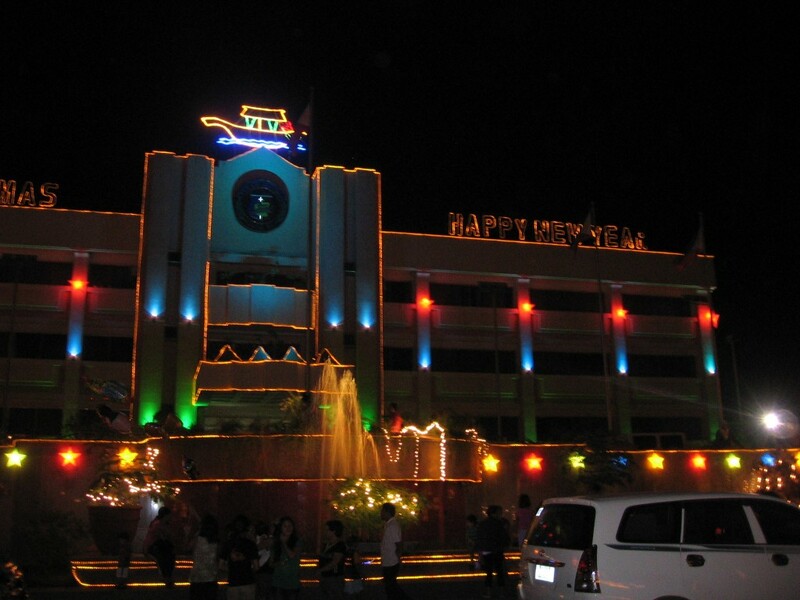 The Butuan City Hall does not want to be left behind with the holiday festivities.The building is decked with lights. There is also a fountain. Unfortunately, I was not able to take more photos because I was running low on camera batteries. I had to rely on my cousin’s tablet to take photos. 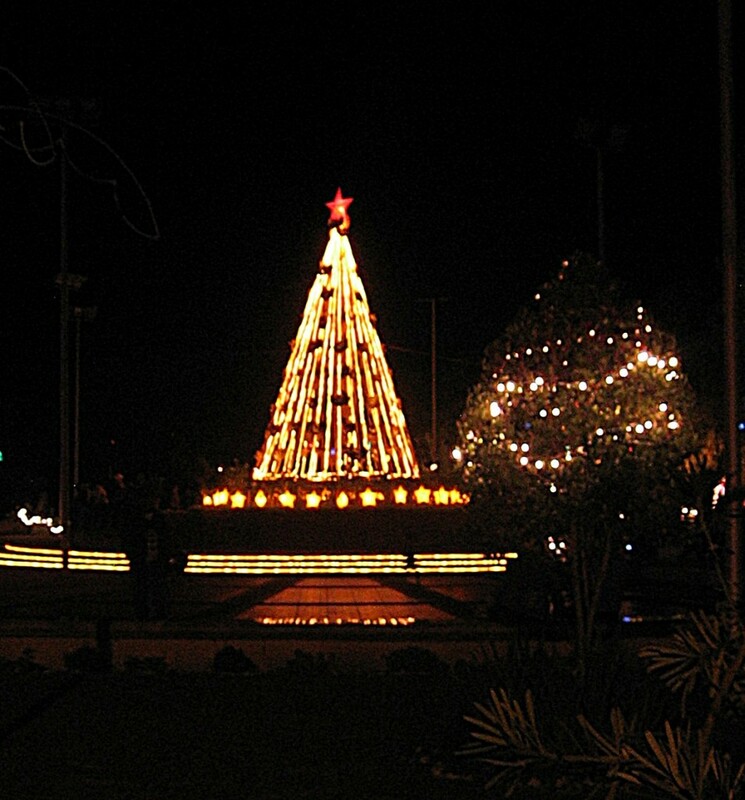 Below is the giant Christmas tree on the city hall grounds. The tree is decorated with native fans (abaniko). I ran a poll which of the two building looks better. Result: Capitol:3 votes City Hall: 2 votes. Because of these lights, I remembered and episode in “How I Met Your Mother” where Ted showed a house adorned with Christmas lights which the blinking of the lights was choreographed with music. I found the video online and I was hoping the people who worked on these lights in the capitol and city hall can recreate the same light show next year. This house is in Pleasantgrove, Utah. Equipped with such talent, Mr. Holden programmed this lighting display splendidly. I have not seen anything like it before. What is even more amazing is that the lights ran on wind-power. The power bill for the month would only cost him $150. Because the display attracted a lot of people, traffic worsen in the gated community where he lives. Thus, display for this year was in the Valley Fair mall. I think it was not as impressive as 2010 video but it is a start. Now that Christmas is fast approaching, there will be gathering of sorts and what’s a Filipino party without the videoke machine? For years, I have been avoiding to hold the mic. I don’t know how long I can keep up with this strategy on mine. I’ve hear it said often that all Filipinos can sing. I am Filipino therefore I can sing. The sentence is partially true. I do not have the best of vocals but I can deliver a pleasantly sounding rendition on one condition: when I thought no one is listening. When there is another person listening, an awful “vibratto” takes over, the jitters resonate in my voice, the confidence level drops and it does not feel good. Maybe I should start practicing songs that I know the lyrics to. Videoke ruined this part for me. I don’t think I learned new songs because if I wanted to sing, I can always run a search and Google will direct me to a Youtube video with the lyrics. I have to dig into my playlist and sing 3 songs from the heart. Naks! I never thought this would be a difficult process. There were songs that I kept playing but I never knew all the lyrics (e.g. Adele’s “Someone like you” and “Rolling in the deep”). Most of the songs I knew all the lyrics to were songs I learned more than ten years ago. Should I be afraid? Most people with Alzheimer’s have problems with “recent memory”. “On My Own’ is a song from Les Miserables. The version I like best is the one performed by Lea Salonga. I have been a Lea Salonga fan for as long as I can remember. I might have sung this song several times that I did not forget the lyrics. I would blame my high school classmate on this one. In one class presentation, I belonged to a group who sang this song. After all the rehearsals I did, the song stuck to my memory. There is an unwritten rule in American Idol: Never sing a song by Whitney Houston if you can’t sing as well as her. I just broke that rule. But then again, I am not auditioning for a singing contest. This might the first pop song I memorized. I found this cool video and it eased my fear a little bit. Maybe there are no tone deaf people. Some just take time to wire their brains to the right pitch. With practice, who knows? I came across this video. Man, how I miss science! I am a daughter of an engineer so I get a good explanation of anything that fascinated me. My father explained why airplanes fly (aerodynamics) and why a heavy ship does not sink (buoyancy). Plus, I went to a science high school where my classmates seemed to be really interested in science. Somewhere between trying to pass my subjects, my love for mathematics, surviving college and facing the real world, science took a backseat. The idea of wracking my brain on complicated subjects deterred me from digging deep into the exposing myself more into scientific endeavors. Today, there is no pressure for me to impress a teacher or get good grades. I am just trying to learn because I want to. When I saw this interview by Stephen Colbert on Neil deGrasse Tyson, science became fascinating again. It helps that Stephen Colbert is an intelligent and witty interviewer and Neil deGrasse Tyson is a passionate speaker who can easily convey his message across. If you have time to spare, watch the video. I don’t want to write spoilers but Neil had a funny story about Titanic and James Cameron. In case you are interested, Neil de Grasse Tyson wrote the books below. Or follow him on Twitter: http://twitter.com/#!/neiltyson He is listed as one of the Time’s 140 Best Twitter Feeds. This is one of his twitter posts yesterday. Interesting, eh? I’m going to watch more of his videos.